Because of the continuing failure of the D4 cruiser to be the overpowering dreadnought for which they had hoped, by the late 2210s the Klingons were making preparations to construct a new cruiser, the D5 class, which would employ more "Klingon-style" technology rather than superficial imitations of Federation and Romulan technology used thus far. The Klingons had extremely high expectations for the D4 cruiser when it appeared soon after the turn of the 23rd century. This dreadnought had been built to spearhead invasions of Romulan and Federation space but was completely overmatched in most engagements. The leaders of several Klingon Great Houses believed that the D4 failed because it was not large enough. They felt that if overall displacement, the number of plasma cannons and disruptors, and the size of reactors were increased, the Klingons would achieve their long-sought tactical superiority. Other Klingon leaders felt that the failure could be attributed to a void in the soul of the Klingon race. Instead of directly challenging alien powers now, they suggested a withdrawal from foreign adventurism, a turning inward, and reflection upon what it meant to be Klingon. Other critics suggested that the Klingon Empire should avoid conflict with the Romulans or the Federation and expand only into antispinward and rimward sectors. However, more technically versed Klingon critics recognized that the D4 had simply been an overly ambitious design that had attempted to utilize technologies before they had reached a sufficient level of refinement. The foremost reason for the failure of the D4 and, indeed, the root of all other problems, was the continued use of two full-sized warp reactors: a deuterium-powered fusion reactor and a matter/antimatter (M/AM) reactor. The great size and weight of the two reactors and their fuels forced all other ship's components, including weaponry, embarked craft, life-support, crew spaces, and cargo bays, to be severely limited. More importantly, the presence of two reactors severely handicapped performance at both sublight and faster-than-light speeds. Some Klingons recognized the necessity of "taking off the training wheels" and weaning their ships from the use of fusion reactors for interstellar flight if they hoped to mount a serious challenge to the Federation and the Romulans for dominance in this arm of the galaxy. Doing so would require the development of much more reliable high-energy reactors capable of operating continuously across all performance regimes. However, improving significantly on the 50% performance reliability of the reactor used in the D4 might be an unattainable goal, given the Klingons' relative technological backwardness and often shoddy manufacturing techniques. Although Klingon Intelligence had been extremely active in its attempts to acquire the newest reactor designs from the Federation and other regional powers, simply obtaining the readouts for reactors or obtaining examples of the reactors themselves did not ensure that the advanced features could be applied to Klingon reactors. Even if the new technologies were incorporated into Klingon reactors, Klingon engineers often had a poor understanding of their effects. As a result, Klingon reactors often accumulated multiple "improvements" that led to little or no increase in performance. Klingon reactors used in the D3 and D4 cruisers and other contemporary classes were little more than scaled up imitations of 50-year-old second-generation Earth reactors. The Klingons often retained features of these reactors without understanding why they had originally been necessary. Several "weak" Klingon Great Houses that were known for their emphasis on scholarship rather than for their success in combat had long argued that only technologies based on a clear and fundamental understanding of the physical principles of antimatter would enable the construction of reactors to rival those of the Federation. They maintained that simple mimicry of Federation designs was a technological dead-end that would forever ensure that the Klingons would remain at least one step behind the Federation. Instead, the Klingons needed to re-establish the concepts of M/AM physics by performing basic research, "reinventing" the M/AM reactor, and finding a "Klingon way" of harnessing the power of antimatter. Such a project would take several decades, but the Klingon fleet and the Klingon Empire would likely emerge stronger for the effort. However, the suggestion to establish a Klingon institute for study of M/AM physics and engineering was met with snorts of derision when first presented in the Qam-Chee, the Great Hall of the Klingons, in 2197. Most Klingon nobles believed scholarship and research to be the domains of effete weaklings unfit to be called "true Klingons." Anyone suggesting that physicists and engineers would be the salvation of the Empire was accused of traitorous defeatism and disparaging the fighting spirit of the Klingon race. However, results of combat in the first decades of the 23rd century clearly demonstrated that Klingon warships were so technologically inferior to Federation ships, and even to fusion-powered Romulan ships, that no amount of Klingon fighting spirit could compensate. Fortunately for the Klingons, several of the more academically inclined houses had taken it upon themselves to secretly initiate M/AM research on their private planetary holdings, and by 2221 neared completion of a prototype reactor of completely Klingon design. Not only was this new reactor significantly more reliable than previous Klingon reactors, it was also smaller, more powerful, and simpler to maintain and operate. Tests at the Klingons' newly-established reactor research station on the Klingon moon Praxis demonstrated that this reactor could operate reliably and continuously for several weeks with routine maintenance not requiring shutdown. Therefore, the fusion reactor was rendered largely redundant for warp power generation and could be relegated for use only in emergencies. Accordingly, the size and power output of the fusion reactor was reduced to achieve a maximum speed of only wf 2. As an additional advantage, the large deuterium stores needed for long-range fusion-powered warp flight could be reduced, which improved power-to-weight ratios and performance at both warp and impulse speeds. 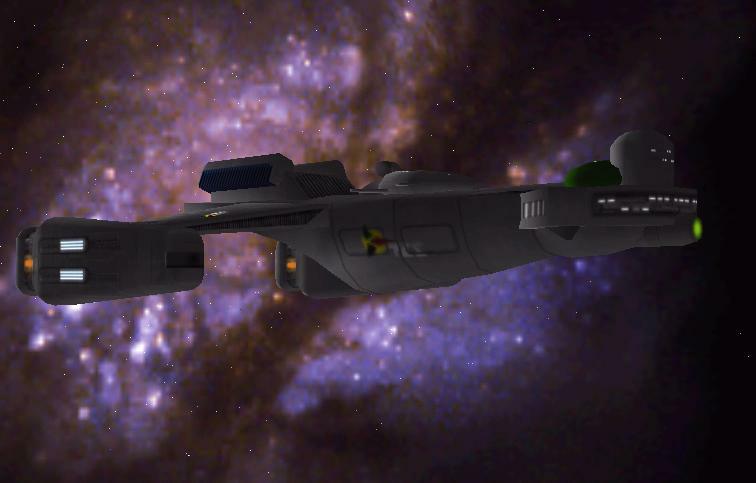 A new cruiser, the D5, was built around the new reactor and entered service with the Klingon Imperial Fleet in 2224. This new cruiser was markedly smaller (166,000 t) than the D4, but still bore a familial resemblance to other Klingon cruisers. As usual, command areas were localized to a distinct "head" at the front of the ship. However, the engineering hull, rather than being connected to the head by a thinner neck, was elongated and attached directly to the head. The engineering hull had a long rear fantail and flat dorsal deck, resembling those of the Federation's much later Excelsior class. 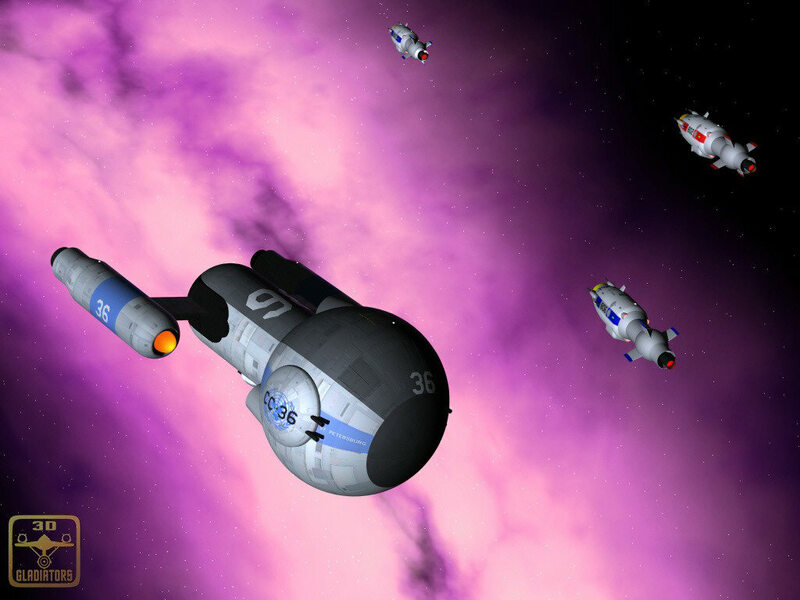 The D5 retained the ventral hull extension where the D4's plasma cannon had been but instead used the hull space for external shuttlecraft docking ports. The main heavy beam weapon, a powerful disruptor cannon, was placed in the lower section of the head. The impulse deck was of new design, which would continue to be used in Klingon cruisers with only minor alterations for the next 150 years. The nacelles, less than half the weight of those on the D4 owing to new, higher-density warp coils, were held out from the engineering hull on high-mounted wings swept back 56 degrees with a central anhedral of 10 degrees. 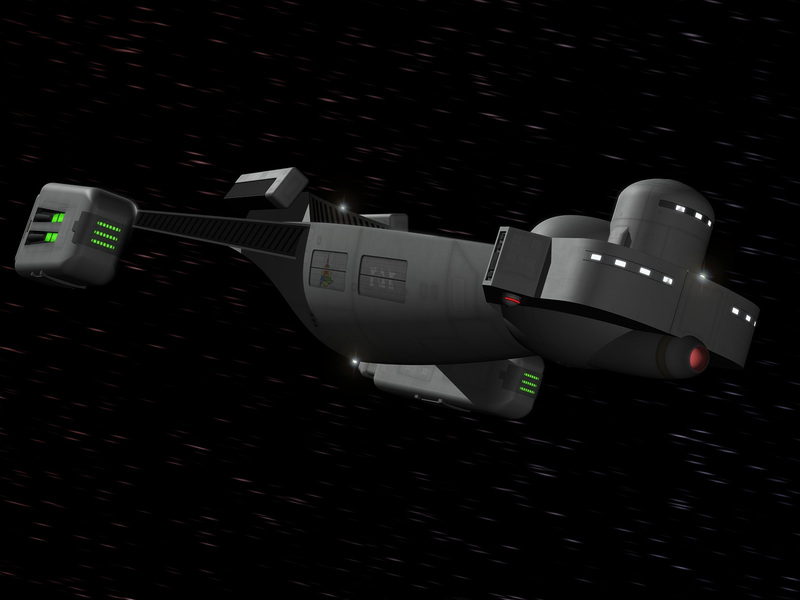 In addition to the main shuttlecraft deck, which was entered through the fantail, the dorsal deck of the engineering hull had a landing pad for a large assault shuttle capable of carrying some 100 fully equipped Klingon soldiers. This class of shuttle was given the name Grishor, after a type of large marine predator native to Qo'noS that often suns itself on coastal rocks. In addition to the new reactor, other improved systems resulted from the Klingons' newfound interest in research. 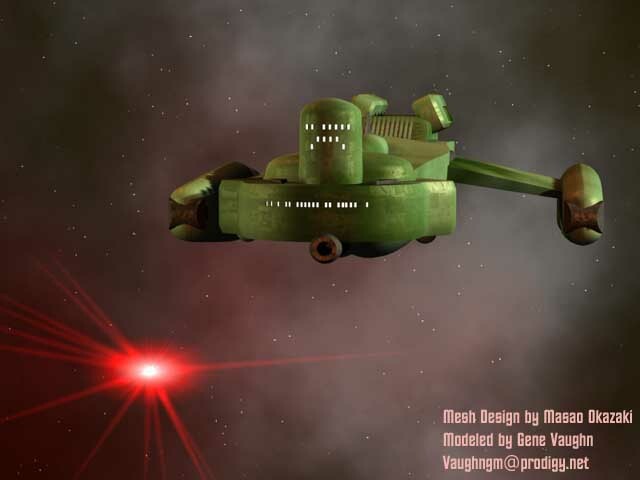 The D5 carried a new, more powerful sensor suite intended to defeat the most recent generation of Romulan cloaking systems, new sensor-countermeasures of its own, a more robust energetic shielding system, and new rapid-fire disruptor cannons with more accurate targeting control. 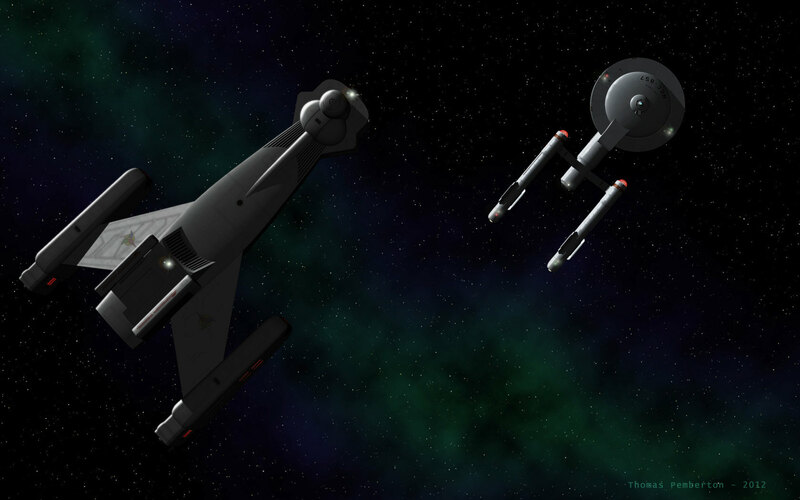 In 2225, the D5 saw its first engagement against Romulan forces at the Battle of Iratti. The Romulans, who had grown complacent after 60 years of toying with slow, fat Klingon cruisers, nearly swaggered in attack formation toward the enemy ships. Such was the Romulans' confidence in their own superiority that they did not even bother to cloak themselves. Suddenly, the Romulan ships were attacked by swift, powerful ships of previously unknown design. As the attackers flashed by, two Capsize-class cruisers, introduced just three years earlier, were consumed in balls of flame. As the three remaining Romulan ships turned to retreat to their base, they too were destroyed. When the Klingons next attacked at Caat Negaat three months later, the Romulans were far less arrogant. They would not repeat the mistake of underestimating the Klingons. This time, at the first extreme-range sensor contact, the two Romulan Capsize cruisers on patrol cloaked and assumed a waiting position. As the first Klingon ship came into range of the Romulan plasma cannons, the Capsizes fired. However, the Klingons began high-speed evasive maneuvers immediately upon launch and easily evaded the sublight plasma bolts. The Romulans recloaked and vectored to new firing positions. 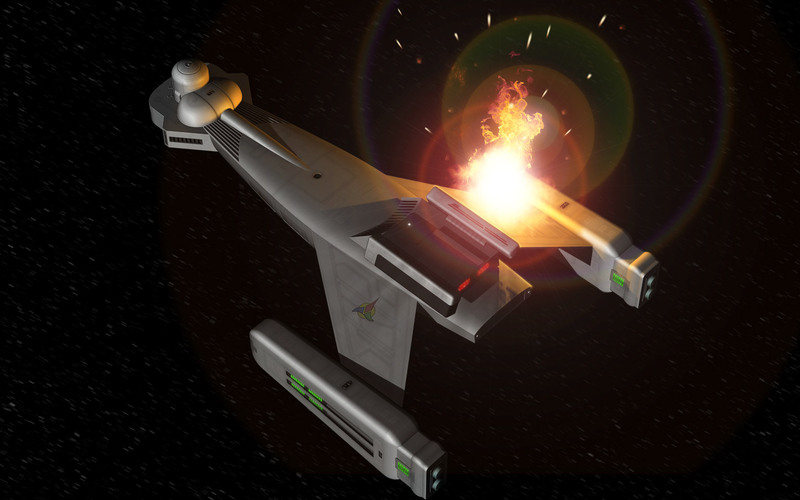 However, before their plasma cannons could be recharged for a second volley, the Klingon ships began firing on the Romulans' new position, scoring direct hits on the unshielded ships. Somehow, Klingon sensors had defeated the Romulan cloak, denying the Romulans any tactical advantage they might have had. The balance of power along the border had shifted. 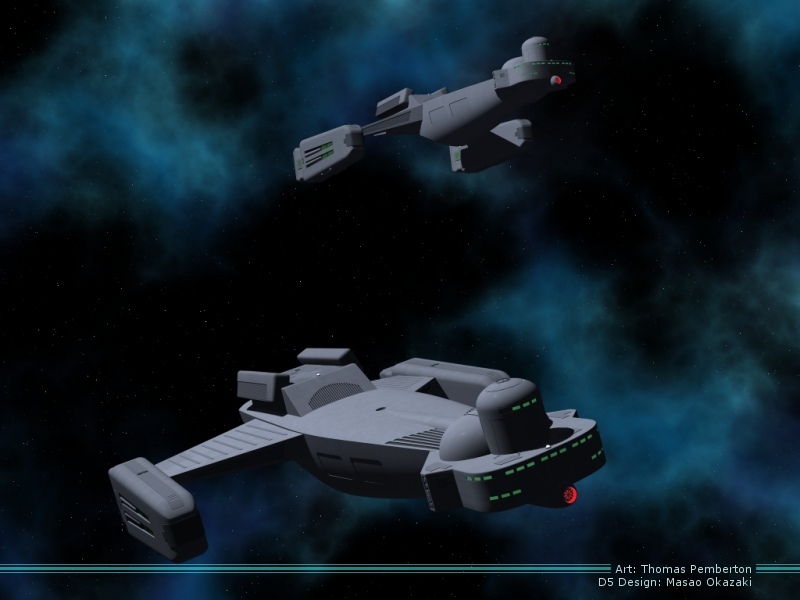 Although the new D5 cruiser, with a maximum speed of wf 6.2, was only slightly slower than the Federation's Lancaster-class heavy cruiser introduced in 2205 (maximum speed, wf 6.4), the Klingons did not take advantage of this tactical near-parity to challenge the Federation with large-scale fleet actions. The reason for this apparent inaction was a succession struggle for the Imperial Chancellorship starting in the spring of 2226 which was long and violent even by the high standards of the postimperial period. Some historians have gone as far as considering this succession struggle a civil war. Numerous Great Houses were forcibly combined by means of brek'tal (in which the leader of one House kills another), and at least five Challengers for the Chancellorship (either formally announced or potential) were assassinated. In addition, in acts of unprecedented political violence, no less than three Arbiters of Succession, who usually help ensure a smooth transition of power, were assassinated by parties unknown. Unfortunately for the Klingons, by the time this political turmoil had ended with the succession of a new Chancellor in late 2228, the Valley Forge-class cruiser, which could reach wf 7.6, had begun entering service with Starfleet. Another window of opportunity would not open until 2241, when the D6 cruiser was introduced. However, the Klingons continued to make regular raids and attacks on Federation border outposts and colonies throughout the 2230s. 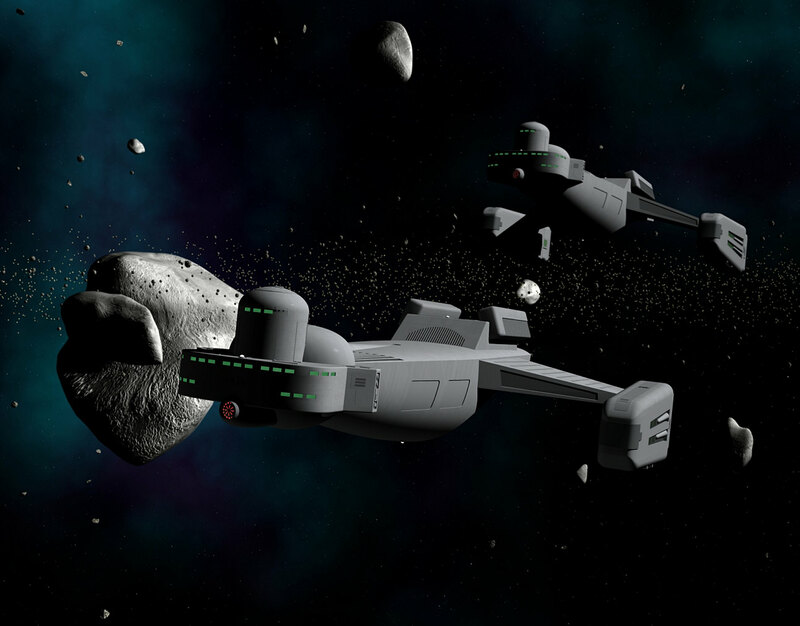 In one typical attack, a Federation outpost at Caleb IV was attacked by six D5 cruisers in 2239. What made this attack unusual was that it was the first known operational use of a cloaking device developed by the Klingons. This cloaking device was quite unlike the self-contained modules later introduced by the Romulans. Instead, this cloaking device can more accurately be described as a cloaking system, which required a complex interplay of several different types of emission-dampers and sensor-countermeasure generators. Furthermore, this system cannot be considered a true cloak in the modern sense because it merely diminished the sensor signature of the ship but did not make it invisible. If the components of the system were not precisely tuned, the cloaking effect would not develop and the ship would remain easily detectable. In fact, at the battle of Caleb IV, the cloak generators lost harmony through a combination of subspace field shearing, a high concentration of interstellar gases, and hull vibrations produced when reactor output increased to meet the demands of the cloak during the terminal high-speed attack run. The cloaking effect dissipated, and the Klingons were barely able to escape after severely damaging the lightly defended Caleb IV station. Although the Klingons continued to attempt to refine this technology, they would not have a truly effective cloaking system until they obtained one from the Romulans in exchange for M/AM reactor technology in the 2260s. Even then, the high energy demands of the cloaking system meant that it could be used only in limited tactical situations. With the introduction of Kestrel-class light cruisers (2223) and Valley Forge-class cruisers (2227) Starfleet increased its qualitative superiority to the Klingon fleet. In particular, the Kestrel and Valley Forge classes were much faster and maneuverable at both warp and impulse to even the greatly improved D5 class. Starfleet had found that simple firepower was not the decisive factor in ship-to-ship combat, and accordingly built only 15 of the massive, Kaminari-equipped Siegfried-class dreadnoughts (2235). However, the photon torpedo, which combined supraluminal speeds and high explosive power, was a nasty surprise for the Klingons when they became widespread on Federation ships in the 2220s. 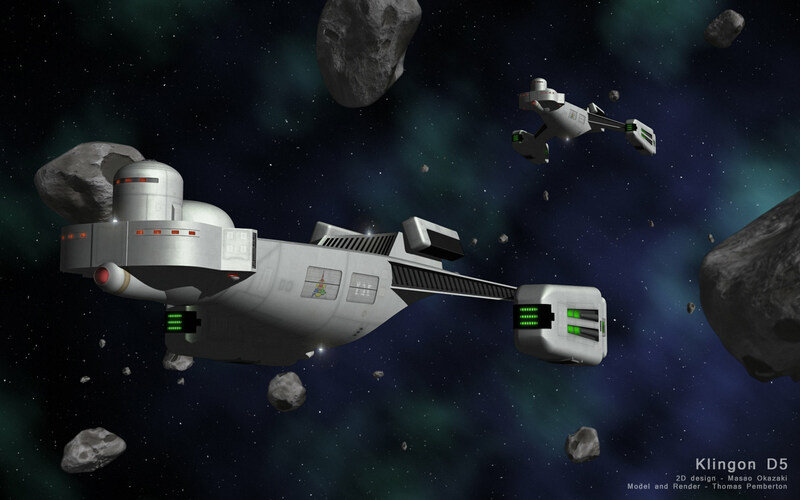 The new Kestrel-class light cruisers were a particular annoyance to the Klingons. Their high speeds, acute sensors, and stationing at the frontier meant that every Klingon border probe was soon challenged by one of these tenacious little ships. 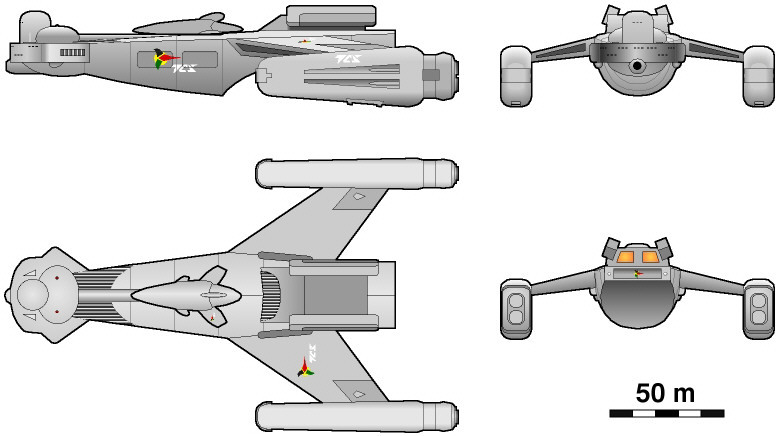 The Kestrels, which the Klingons called "targ flies," were more than a match for any Klingon ship in one-on-one combat. However, the appearance of a single Kestrel often signaled the imminent arrival of other Starfleet ships large and small. In particular, the innovative destroyer tactics used by Kestrel squadrons were a force multiplier, allowing a handful of ships to do the job of many more. If the Klingons hoped to one day pierce Federation frontier defenses, they would need smaller, faster, and more powerful ships in much higher numbers.